Wedding Stationery Shopping List | Wedding Ideas ARE YOU A VENDOR? To save you from forgetting any envelopes or inserts we’ve created a list for all of your must-buy stationery items. Happy shopping! Ready to start rounding up your wedding stationery? Not so fast. Before you start picking out save the dates, think about all the things you’ll need. Some shops offer deals when you buy in bulk, so you may want to consider using only one provider to cut costs (and to get a cohesive look). To aid you in your shopping endeavours we’ve created a list so you know exactly what to fill your cart with. Note: Depending on the type of ceremony and reception you’re throwing, you may not need all of these pieces. Feel free to skip some of them if they seem unnecessary or if you need to cut costs. 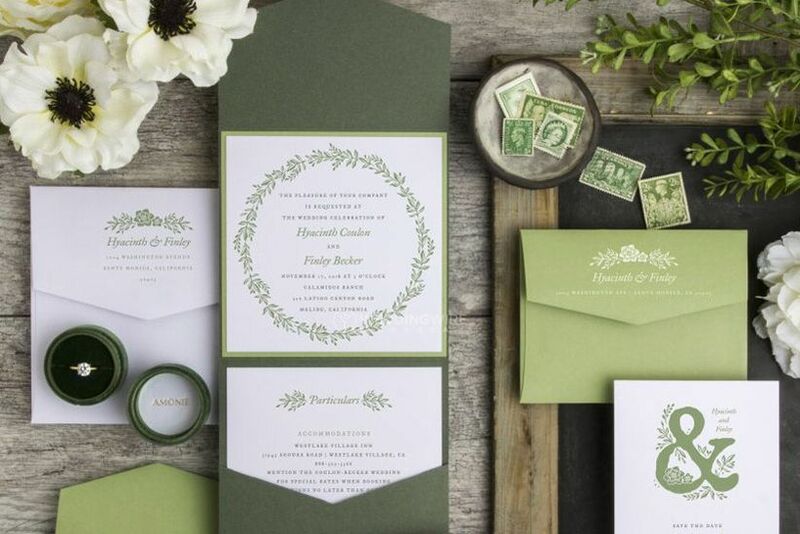 Here’s a checklist of all the wedding stationery you’ll need for your big day. 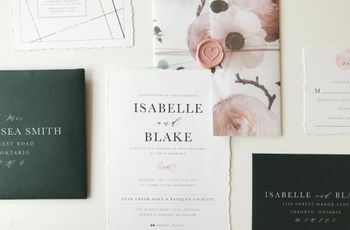 Before you start assembling your invitations there are a few pieces of pre-wedding stationery to take care of. If are you hosting a destination wedding you’ll have a few more things to order, like welcome dinner invitations and welcome basket tags. 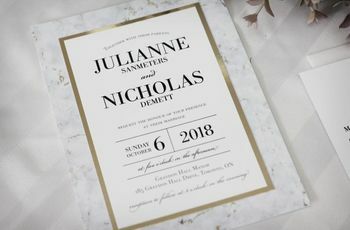 When you think wedding stationery the first thing that probably comes to mind is the invitation. It’s more than just a simple piece of postage. The entire package normally involves several enclosures and a few envelopes. If you want the lowdown on what each insert is used for and how to properly package the whole shebang, check here. Your wedding day will get the bulk of the stationery you order. 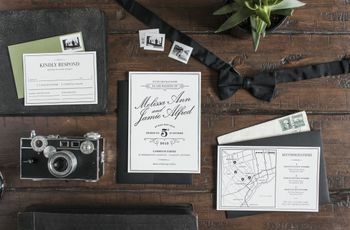 Don’t skimp on these pieces as they’re what keep your guests informed and your big day organized. 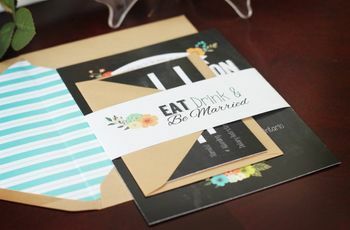 Once you’ve said your “i do’s”, say thank you to your guests for coming with a simple and thoughtful card. 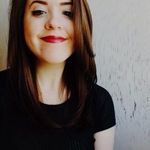 If you end up eloping or having a small destination ceremony, you may want to consider mailing out a wedding announcement to let friends and family know that you got hitched.